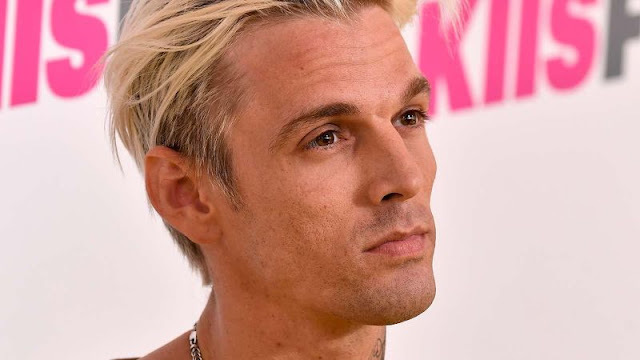 After mishandling the money he earned and filing for bankruptcy, singer Aaron Carter has claimed that he wants to bring change to the laws governing the management of child actors’ money. Aaron is Nick Carter’s younger brother, who got famous in the 90’s as a prominent member of Backstreet Boys. Aaron himself followed his brother’s footsteps, a couple of years later, at the tender age of 10. The singer, now 30 years old, now aims to bring about change in the music industry that will avert other young stars from making the same mistakes he did. Aaron suffered financial ruin back in 2013, after facing problems in controlling and organizing his own earnings. He also had to deal with America’s Internal Revenue Service for paying his tax debts in 2014. In an interview, the singer mentioned the ‘Coogan Law’, initiated by actor Paul Petersen, which enabled young stars to put their 15 percent of their money into a trust fund account, and could only access it when they turned 18. He thought that there were some problems with the law, as the kids were clueless what to do with the money when they did turn 18. So he’s planning on creating a new ‘Carter Law’, in which he aims to educate the kids by teaching them to manage their finances better. The kids will be given their money after turning 18, through increments over a 10-year period, so they can avoid spending it one go. He highlighted that it was important to still have money in reserve, after they had experienced life more thoroughly. The singer recently released his first album in 15 years, titled ‘Love’, and had a troubled last 5 years that included an arrest for driving under the influence. Now, he hopes to turn things around with the successful implementation of the Carter Law.